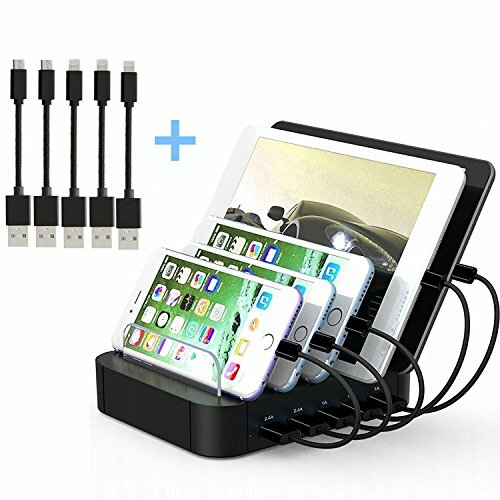 Space Saving – The charger stand can steadily hold all your devices at the same time, no more messy cords bother you anymore, giving you a tidy desktop, Saving you from additional charging adapter or power strip. Easy To Use and Space-Saving Design: Simply connect the 5-Port USB Charging Station to the power adapter and into a wall outlet. This charging station is 15.5×12.7×3.2cm. Providing a powerful charge to all your devices without taking up desk space.